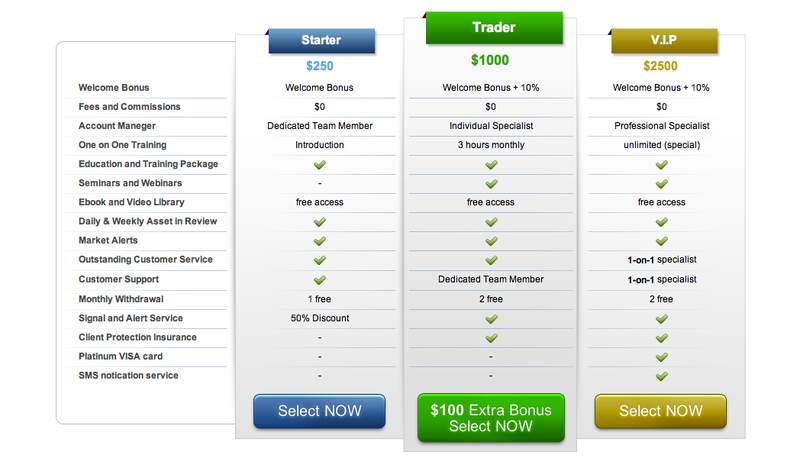 iOption.com is one of the newer binary options brokers on the market, launched in 2010 and based out of Cyprus and the British Virgin Islands. It has a wide variety of assets for binary options trading and receives its trading information from Reuters, like many option brokers in the market today. iOption made a splash when it launched with its extensive lineup of binary options. The forex options are especially diverse, with some very obscure pairs not traded elsewhere. Option traders have a lot to choose from when making investments, with one of the largest offerings online today. Depositing money is also pretty straightforward. This binary options broker allows deposits through a variety of means, including MasterCard, Visa, PayPal, and Diners Club International. Most binary options brokers offer a signup bonus, but there is no mention of such a bonus on the iOption website, which means any bonuses are probably given to existing clients or during special promotion periods. 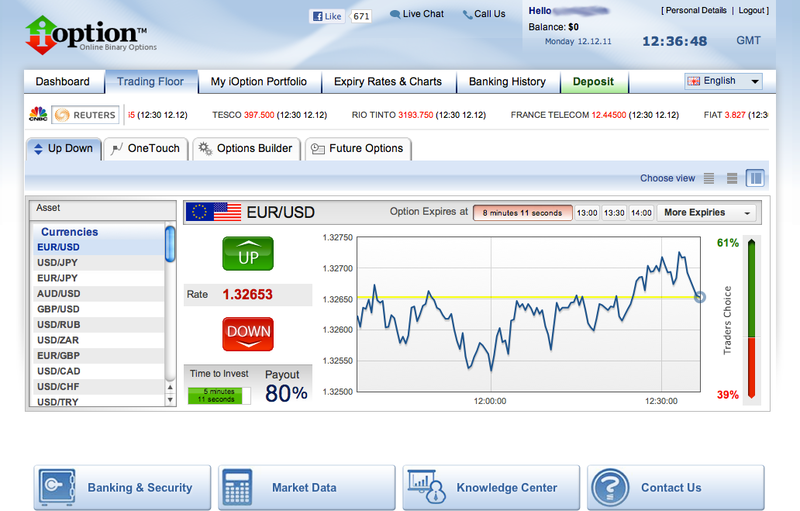 The user interface is one of the most important parts of a binary options platform. For iOption, the interface is pretty simple to use, which makes it better for beginner option traders who are just now getting into the business. You have all the information you need neatly displayed on a bar from left to right, including the expiry time, asset price, asset name, and other basic information. Charts are not prominently displayed, though, which may be a downside to some. As far as unique features go, there aren’t many to go around. This is primarily because iOption is designed for newer traders who want the binary options experience without a lot of complicated features and details. This increases the user friendliness of the site, but decreases its value to more experienced traders who enjoy more complex features. This broker advertises payouts of 75%, with protection rates of up to 15% for out of the money trades. The payout is not at the top of the industry, but isn’t bad – and the refund is higher than the industry average, which hovers around 10%. One big part of any options broker today is customer service, and iOption is no exception. Customer service can provide quick answers to questions you may have about a website’s services or terms and conditions (which may or may not be readily available on the website). They can also usually help you with any requests you may have, and work with you to understand the platform and how to navigate the system. We asked chat representatives with iOption a few standard questions in order to determine how prompt, reliable, and informative the website is to option traders seeking answers. During our interactions with iOption, we noticed that there were delays in getting responses from their representatives regarding pretty standard questions. We did not find an answer to one question about credit card withdrawals and how long it would take to receive the payments. For more information about iOption, click here to download a free explanatory eBook about what services they offer. When we did get a chance to talk, though, we felt that the reps were courteous and approachable. They were patient with us as we went down a list of questions, and for the most part, they provided us with information that we needed. They also have 12 support telephone numbers (although none for the United States). We would prefer better response times – sometimes it just took too long to get an answer – but iOption’s customer service is decent at worst. iOption wins points on being easy to use and having a large, diverse, and unique asset index. It loses points on lacking useful charts or financial data and more advanced trading options for experienced traders. Beginners are best suited for this new online broker.